At eighty, internationally acclaimed Dutch architect Herman Hertzberger invited colleagues and students to reflect on the future of architecture. 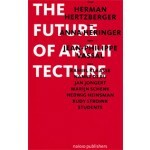 While questioning the profession’s status as ‘the discipline par excellence that has lent itself to the representation of a new, better world’, Hertzberger acknowledges that ‘it is exactly when the ground under your feet is collapsing that you need elevation’. 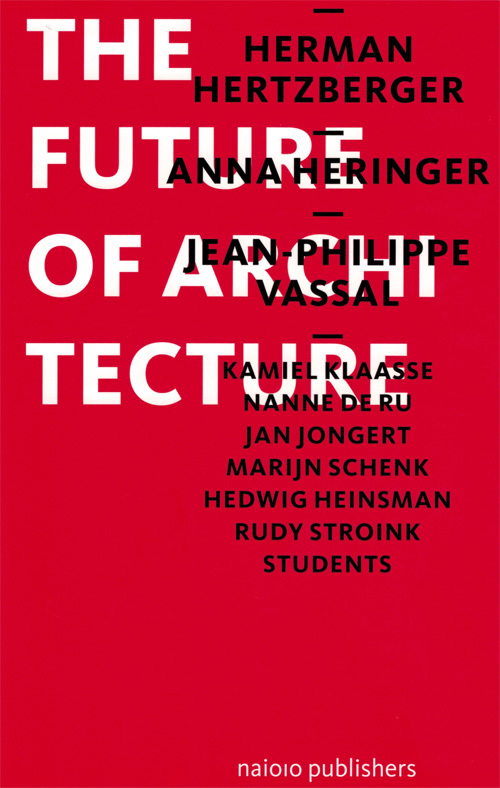 In this pamphlet, Herman Hertzberger, Anna Heringer, Jean-Philippe Vassal and other contributors opt for ‘ building as building up, composing, multiplying, improving and establishing: the opposite of decline’. Recognizing the need to change our lifestyle and the way we build if we want to preserve the planet for future generations, these pages offer optimism, making the case to abandon all preconceptions and imagine a new way of practicing architecture that is not a derivative or feeble reflection of today’s reality. The envisioned architect is sensitive to ecology, responsible, fair, creative and communicative. The architecture of the future, as postulated in this book, should improve human conditions and dignity by acting local but using global knowledge in a global world.